NEW YORK -- "Dirty New Yorker" one of the songs from the H.N.I.C. Pt. 2 sessions will be featured on the Grand Theft Auto IV game and soundtrack. Prodigy removed the song, featuring Mobb Deep member Havoc, from the H.N.I.C. Pt. 2 album so "Dirty New Yorker" could be placed on the latest game in the Grand Theft Auto franchise. The video for "Dirty New Yorker" has been added to H.N.I.C. Pt. 2 as a bonus feature on the album. 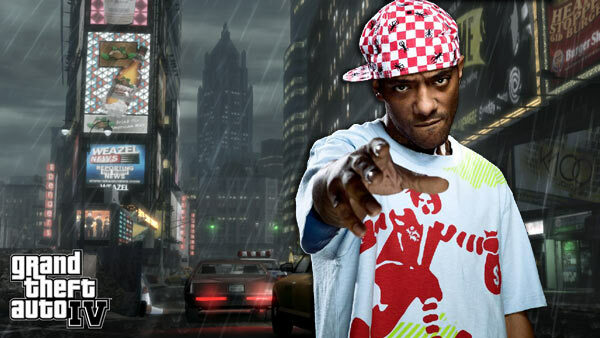 Prodigy, one of hip hop's legendary lyricists said, "I am proud to be able to provide a lyrical picture which defines the grittiness and lawlessness in Liberty City, the latest city exposed in the Grand Theft Auto franchise. My music provides a harsh reality to the surroundings the game portrays." The new album H.N.I.C. Pt. 2 returns "P" to the more edgy real life street tales that have been Mobb Deep's signature for nearly a decade. Produced by The Alchemist and Havoc, the album is released on Voxonic Music in association with AAO/Reality. В довершении темы о P, хочу сказать что в интернете трек Dirty New Yorker я не нашёл. Как сказано выше, они сняли его с альбома чтобы включить в игру. Хорошо шифруются. На PC игра будет видимо зимой, на PS уже летом. Значит летом трек сольётся.